This Negril Chamber of Commerce Web Page in the Negril Travel Guide is dedicated to highlighting activities and events, and what the Negril Chamber of Commerce is doing to preserve our community, and environment for the future of our residents and visitors. Should you wish to join the Negril Chamber of Commerce here is a link to a Membership Application. The Hon. 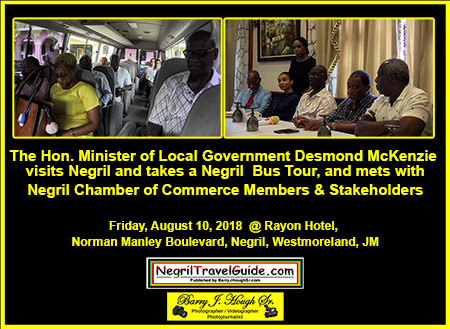 Minister of Local Government Desmond McKenzie visits Negril and takes a Negril Bus Tour, and meets with Negril Chamber of Commerce Members & Stakeholders Friday, August 10, 2018 @ Rayon Hotel, Norman Manley Boulevard, Negril, Westmoreland, JM. Negril Community Centre, Norman Manley Boulevard, Negril, Westmoreland, Jamaica W.I. The 2017 International Coastal Cleanup Day (ICC Day) in Negril was a great success. 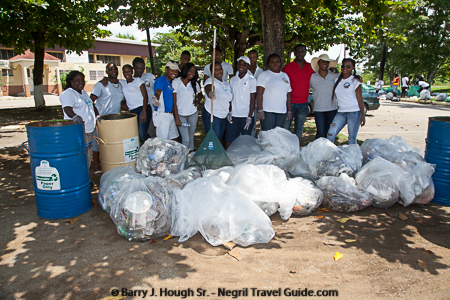 108 volunteers cleaned up 1,785 pounds of garbage off the Negril coastline. This year’s statistics are still being totaled, but there was a major increase in volunteers this year, so the amount of garbage cleaned up should be a lot greater. Kudos to all the volunteers that dedicated their time and efforts. Especially the many community spirited students that participated in this years International Coastal Cleanup Day. Over 300 Ticket Holders were in attendance making it the most successful International Food & Wine Event by the Negril Chamber of Commerce. Proceeds to aid the Negril Health Centre / Clinic Fund. 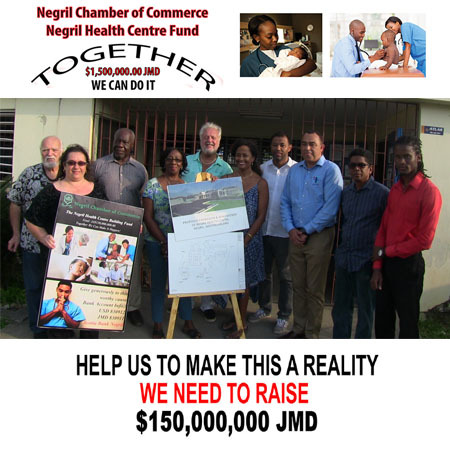 See YouTube.com Videos below about the Negril Health Centre / Clinic Fund. On Thursday, March 22, 2018, the Minister of Health Dr. The Honourable Christopher Tufton visited the Negril Health Centre which has been adopted by the Negril Chamber of Commerce. He was greeted by Lee Issa Past NCC President, Daniel Grizzle Current NCC President, Elaine Bradley NCC Directory – Destination Assurance Council Char, Directors of the Negril Chamber, Negril Health Centre staff, members of the JCF, and NCC Office Manage and staff. After introductions, Elaine Bradley escorted the Minister of Health throughout the Health Centre describing the current facilities and activities taken by Sandals and the Negril Chamber in previous renovations that have been made at the Negril Health Centre. After the Minister of Health toured the Negril Health Centre interacting with Health Centre staff, Lee Issa discussed with the Minister of Health the projected upgrading and renovation of the Health Centre making reference to the designs provided by the Ministry of Health. The Minister of Health stated that he would address the upgrading and renovation information that had been provided by his Ministry and make sure that it was accurate and verify the cost figures projected to make it happen. He pledged his support to the Negril Chamber of Commerce and will aid the Chamber to make it happen. Lee Issa, congratulated the Minister of Health for his imitative to encourage the private and business sector to adopt a Health Centre. He stated that when Jamaica’s Health Centre’s are upgrading they will provide excellent and much needed services to the local community and our visitors taking a load off Jamaican hospitals. As part of the cultural exchange, two of the Jamaican youth artists that participated in either projects will journey to Chicago this summer to work with Green Star Movement and Chicago teens on a mural there. 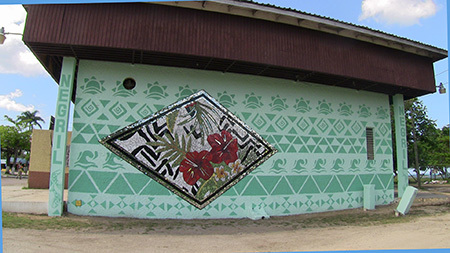 By educating and inspiring youth through these inclusive public art projects and providing them the opportunity to explore new cultures, Green Star Movement hopes to empower the next generation of artists to ignite positive change in their communities. The Negril Chamber of Commerce has adopted the Negril Health Centre on Nonpareil Road in Negril, Westmoreland, Jamaica. It has established a Negril Health Centre Building Fund to assist in the upgrading of the Negril Health Centre. The Fund’s objective is to raise $150 Million Jamaican dollars before the start of the building process. On Wednesday, February 28th, 2018 at the Negril Health Centre, Mr. Lee Issa, NCC Past President presented a foam cheque of $1.8 million which represents proceeds raised by the NCC Annual Gala / Silent Auction, and International Food and Wine Event. In addition, Gail Jackson-Brooks of Negril Treehouse Resort presented an actual cheque of $30,000 which was raised from the Negril Golf Scramble 2017 hosted by herself and her husband Jessie Brooks; and Damiani Powell, General Manager of Woodstock Negril presented an actual cheque of $300,000 which was part proceeds from their recent Love at Woodstock Charity event featuring Beres Hammond. (Later, the Event Director of Woodstock Negril, Denise Smith presented the foam cheque version). 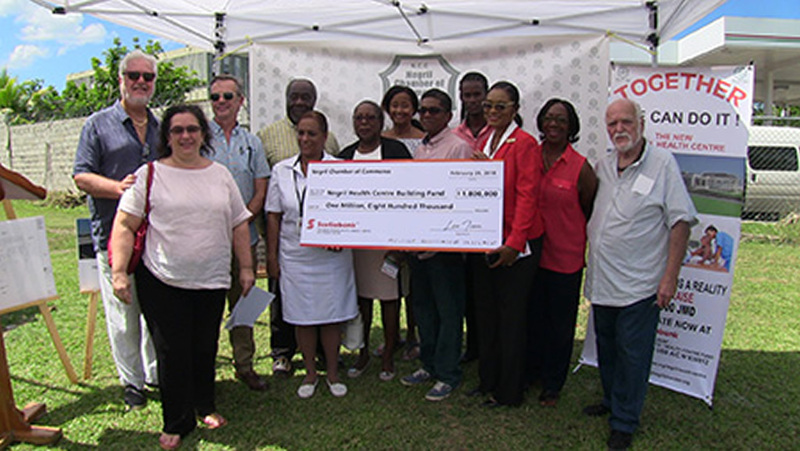 Thus, the Negril Health Centre Fund is off and running with a total of $2,130,000 JMD donated. Dr. Ken-Garfield Douglas and his team from the Western Regional Health Authority, Staff of the Negril Health Centre, Members of the Negril Chamber of Commerce, Negril stakeholders and visiting friends. I also extend greetings and acknowledge apologies from Dr. the Honourable Christopher Tufton, Minister of Health, Dr. Wykeham McNeill MP who are unable to be with us this morning due to prior planned engagements, a pleasant welcome to you all and good morning. Today is a great day for us all here in Negril. Over the years we have bemoaned the fact that Negril is always being left out when it comes to the infrastructural development of the area. We have come to the reality that things will only get better when we the residents leads the way. Today is a step in the right direction. It is important that we have a functional, up to date clinic here in Negril, one that is capable of delivering first class medical care that is accessible to all its residents. For us to achieve this we cannot rely on the government alone, this calls for a united effort by the private and public sector, this includes all of us business and individuals, large and small. Mr. Lee Issa as our president for the last two years has led the charge for us to have a first class clinic here in Negril. We were informed by the authorities that it will cost close to one hundred and fifty million dollars and they alone could not afford it, hence our then president committed us to raise one hundred million dollars towards the cost. On behalf of the Chamber, I would like to extend our gratitude to our Immediate Past President Mr. Lee Issa and his team from Couples Resorts for making our Gala Dinner and Silent Auction 2017 a success. I would also like to thank Mrs. Gail Jackson Brooks and her Husband, Jessie Brooks of Negril Tree House for hosting the Negril Golf Scramble 2017 – it is the proceeds of these events that we will be presenting today to the Negril Health Centre Building Fund. The NCC will continue to host these and other fundraising events such as our International Food and Wine Event, the brainchild of our first Vice President, Mr. Richard Wallace and other fundraisers such as our annual Gala dinner. We encourage the community and visitors to support these indicatives as all proceeds will go towards a worthy cause that will eventually benefit all. We have to be the change that we seek for Negril; the expansion of the Negril Health Centre is just one step closer to making our resort town ideal. If you truly love Negril and share the same passion and vision the Chamber has for this community, then join us by giving to this worthy cause. Our aim is to raise One Hundred and Fifty Million Jamaican Dollars before we start the building process. Today, we are at One Million Eight Hundred Thousand. To help us reach this goal, the account numbers for the Negril Health Centre Building Fund are USD 830912 or JMD 830911, Scotia Bank Negril. Together we can make it Happen. Below you will find links to the Negril Chamber of Commerce Website and Facebook Page with Negril Health Centre Fund postings, video, photos, and additional information. 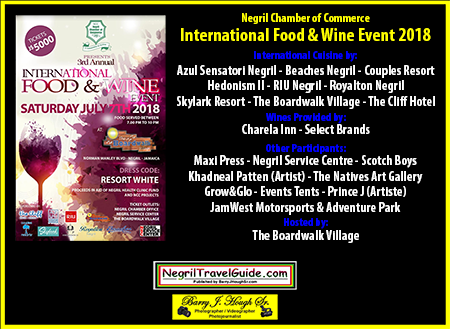 Negril Chamber of Commerce 2nd Annual Food and Wine Event @ The Boardwalk Village, July 8th, 2017, Norman Manley Boulevard, Negril, Westmoreland, Jamaica W.I. The proceeds from the Event aid Negril Chamber of Commerce projects. Event sponsors include: Sandals, Hedonism II, Rockhouse Hotel, AZUL Sensatori Jamaica, Royalton Negril. 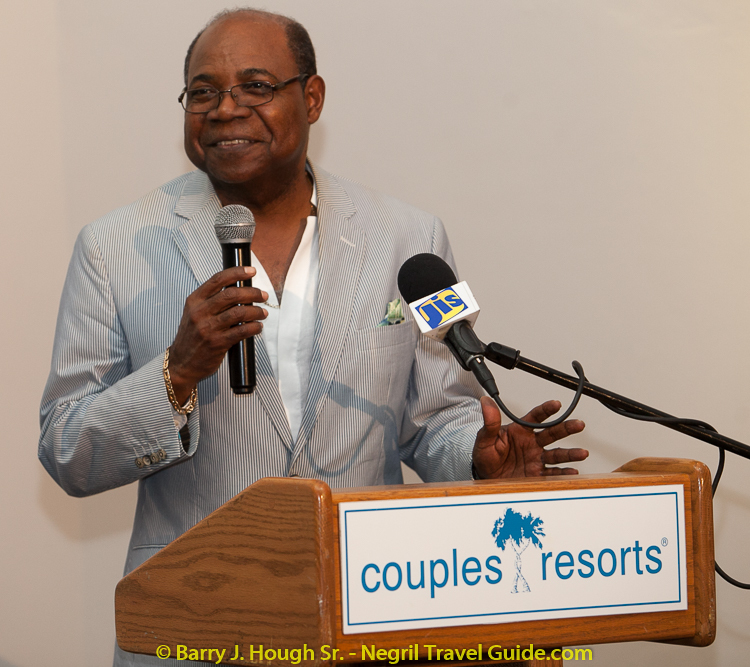 Couples Resort Jamaica, CPJ, Select Brands, Negril Service Center, The Boardwalk Village, JAMZ. There is a Negril Chamber of Commerce meeting usually every Month. You can check with the Chamber office at 957-4067, or info@negrilchamberofcommerce.com for information when the next Chamber meeting is to be held. The Negril Chamber of Commerce endeavors to bring all business and residents together to work at making Negril, the best and safest place for its citizens to live, work and raise a family. You are encouraged to join the Chamber, attend meetings and let your voice be heard. 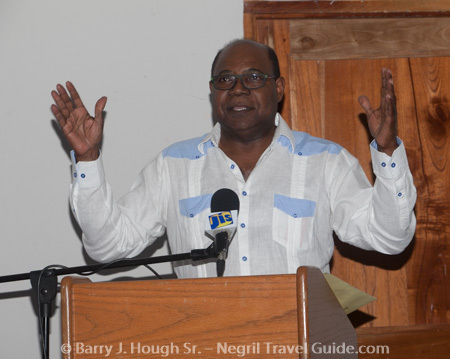 The Honourable Edmund Bartlett, CD, MP, Minister of Tourism @ Negril Chamber of Commerce Community Meeting on Thursday, April 6, 2017 at Swept Away, Norman Manley Boulevard, Negril, Westmoreland, Jamaica W.I. Building With Nature - environmentally sound solutions to beach erosion sponsored by the Negril Chamber of Commerce, Wednesday, August 10, 2016 at Swept Away, Norman Manley Boulevard, Negril, Westmoreland, Jamaica W.I. 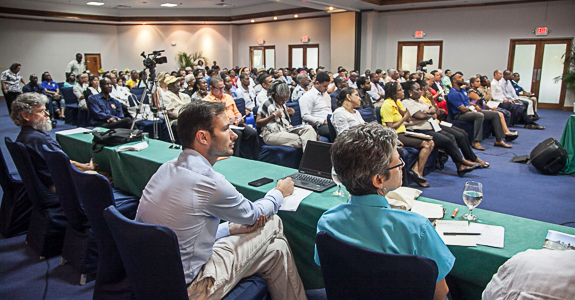 The ODPEM hosted a Negril stakeholder public consultation on the Disaster Risk Atlas for Negril at a meeting with the JHTA and NCOC on Monday, March 21, 2016 at Swept Away in Negril. Negril Stakeholder’s believe the Disaster Risk Atlas for Negril paints the worst picture possible to justify why the breakwaters are necessary in Negril, which Negril Stakeholders are adamantly against. You will see the installation of the breakwaters mentioned in the Recommendations photo. Once the video of the Disaster Risk Atlas for Negril meeting is processed and uploaded to YouTube.com it will be embedded below. Sand Mining - Shifting Sands In Negril? Sand Mining - Shifting Sands? 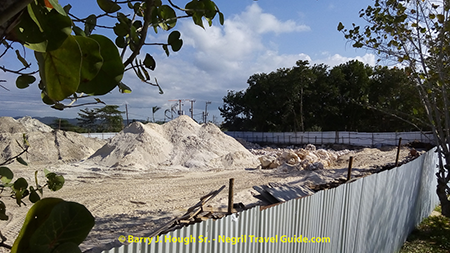 - At Negril Resort Construction Site on Norman Manley Boulevard in Negril. Below you will find a Photo Gallery, and a collection of links to media articles, and videos. When Money Talks, Jamaica’s Environment Walks...! Is Jamaica For Sale...? The leader of the opposition Jamaica Labour Party Mr. Andrew Holness meets with Negril Chamber of Commerce Members at Negril Escape Resort & Spa on Thursday, January 14, 2016. NEPA's presentation and discussion of selected aspects of the Confirmed Development Order at the Negril Chamber of Commerce meeting on Tuesday, January 12, 2016. 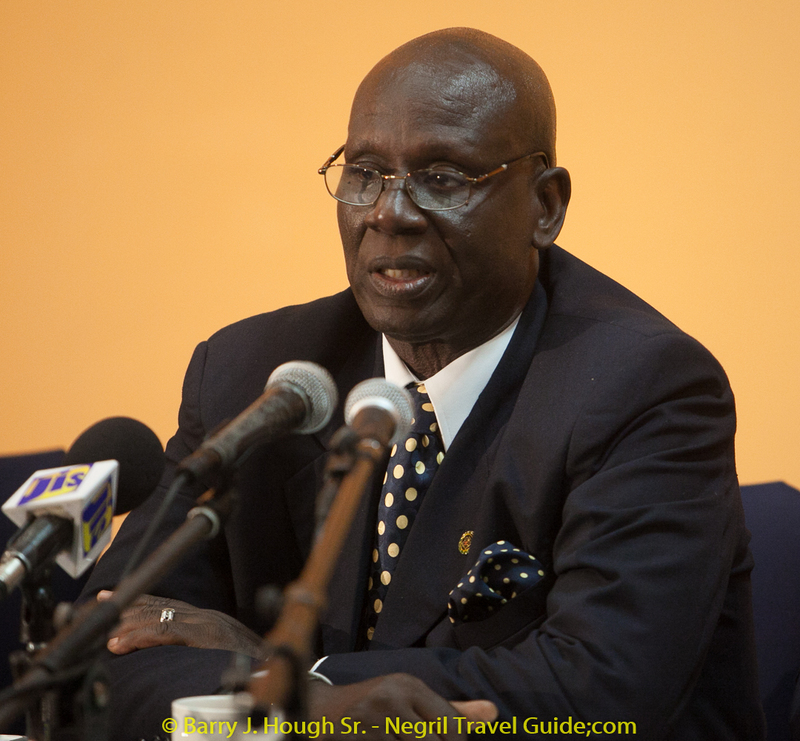 The Honourable Desmond McKenzie, CD, MP, JP, Minister of Local Government and Community Development meets with Negril Chamber of Commerce and Community Members on Thursday, May 26, 2016 at Swept Away, Norman Manley Boulevard, Negril, Westmoreland, Jamaica W.I. 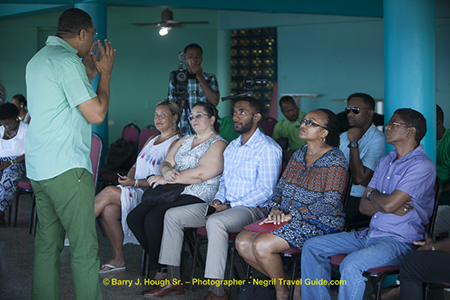 The Honourable Edmund Bartlett, CD, MP, Minister of Tourism meets with Negril Chamber of Commerce and Community Members on Friday, May 27, 2016 at Swept Away, Norman Manley Boulevard, Negril, Westmoreland, Jamaica W.I. 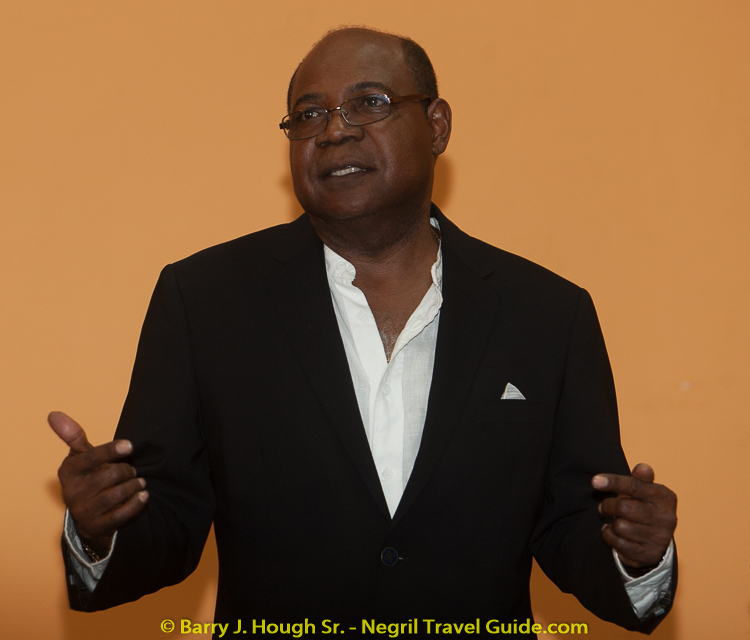 The Honourable Edmund Bartlett, CD, MP, Minister of Tourism meets for the second time with Negril Chamber of Commerce and Community Members on Friday, June 24, 2016 at Swept Away, Norman Manley Boulevard, Negril, Westmoreland, Jamaica W.I. 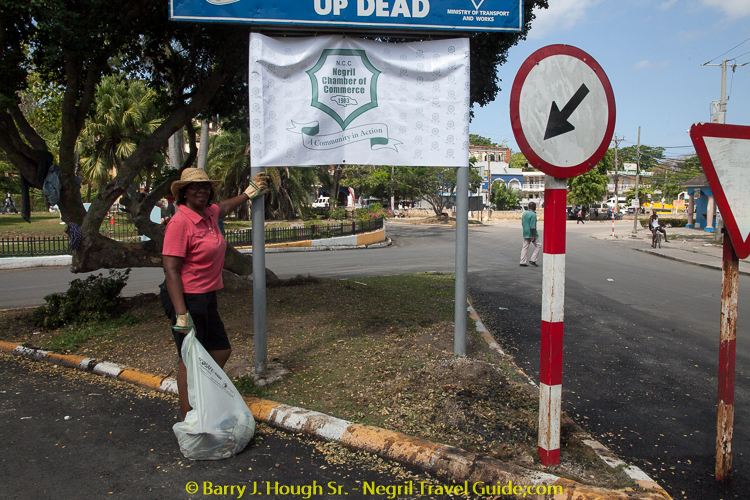 Negril Chamber of Commerce Spearheads Roundabout / Bridge painting and clean up…! 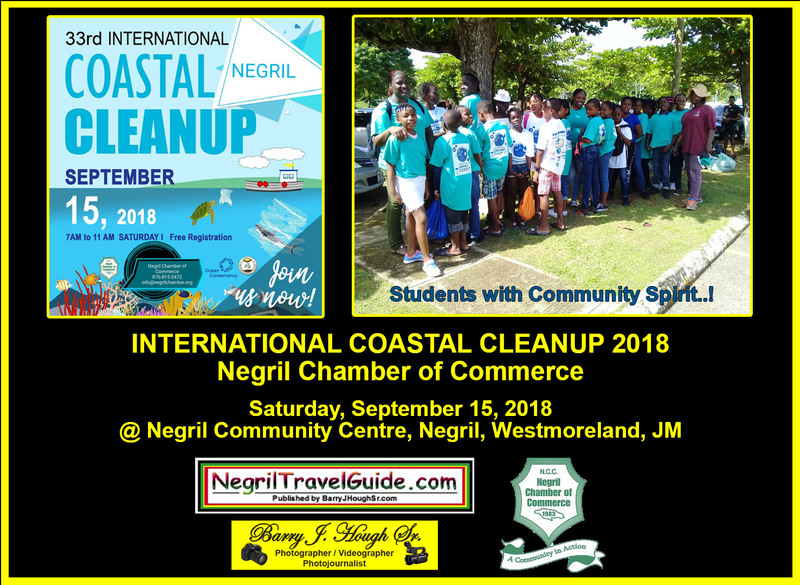 Chamber Members and Volunteer’s worked very hard and demonstrated their civic pride endeavoring to freshen / clean up Negril for residents and visitors alike. NUH Dirty Up Jamaica…! 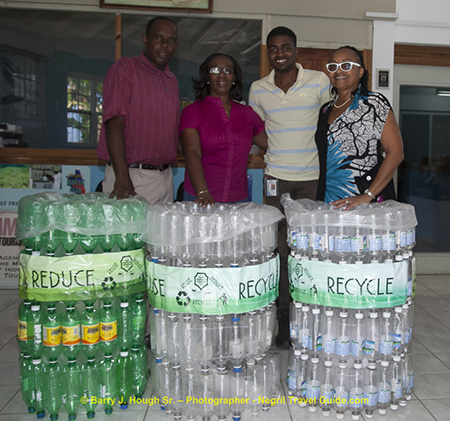 The Negril Chamber Of Commerce President, Lee Issa, donates six recycled plastic bottle garbage bins to UDC. 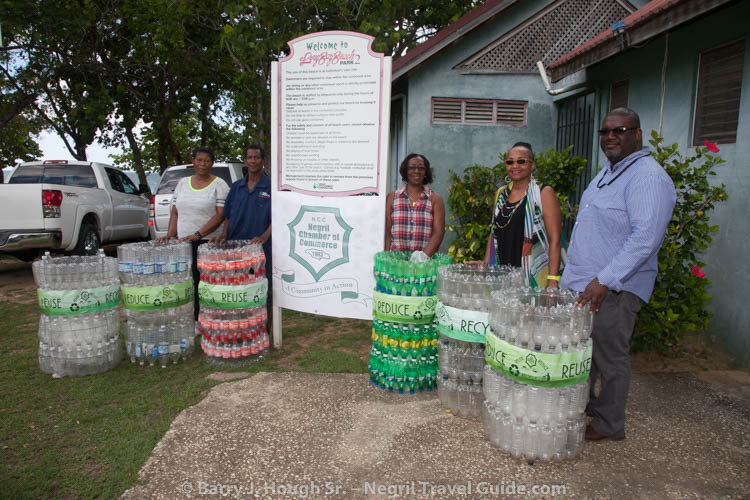 Donated recycled plastic bottle garbage bins to be place at Long Bay Beach Park #1 and #2, Norman Manley Boulevard,Negril, Westmoreland, Jamaica W.I. These garbage bins are made by Nicky Gordon and created from recycled plastic bottles. NEPA will be emoting and maintaining the donated garbage bins. The Negril Chamber Of Commerce President, Lee Issa, donates six garbage bins to NEPA. NEPA is placing the garbage bins around the Negril Community Centre and Beach Park. These garbage bins are made by Nicky Gordon and created from recycled plastic bottles. NEPA will be emptying and maintaining the donated garbage bins. 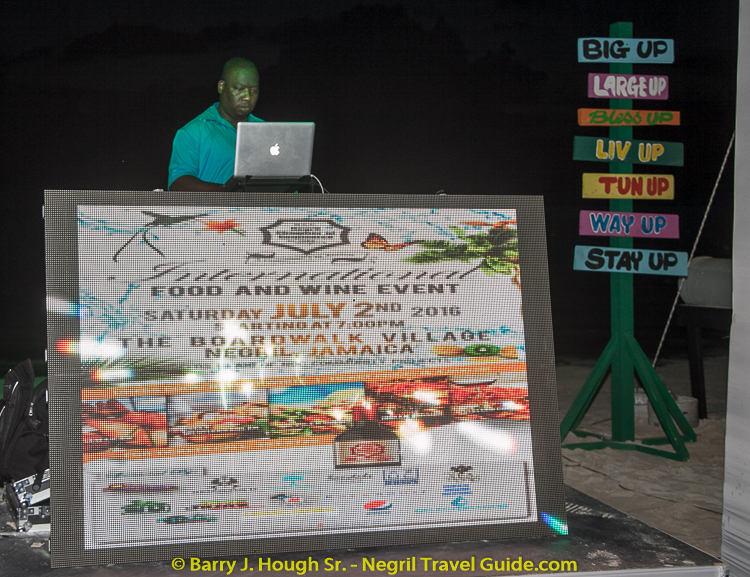 The Negril Chamber Of Commerce International Food and Wine Event on Saturday, July 2, 2016 at The Boardwalk Village, Negril. Featured Cuisine: Jamaican - by Rockhouse Hotel's Pushcart Restaurant, Greek Mediterranean - by Couple Negril, Mexican - by AZUL Senatori Jamaica, Indian - by Hedonism II, and Italian - by Sandals / Beaches Resort. Featured Wine - by SelectBrands with a selections of Hardy's Merlot, Moscato and Chardonnay Wines from Australia. Sponsors: The Boardwalk Village, Hedonism II, Couples Swept Away, Sandals / Beaches Resort, AZUL Senatori Jamaica, The Spa Retreat, CPJ Caribbean Producers, IRIE Jamz Entertainment, Maxi Press, Rockhouse, Tropical Wedding Solutions, Wedding Entertainment, J. Wray & Nephew, Pepsi, SelectBrands, Stewart's Auto, and DJ Gemini and Gavin. The Negril Chamber Of Commerce inaugural International Food and Wine Event was a huge success and will become a yearly event. In addition to the Negril Chamber of Commerce, Negril Chefs, and all Sponsors, a special thanks and appreciation goes to Chamber Director Richard Wallace of the Boardwalk Village and his staff for their quality service enabling this year's successful International Food and Wine Event. Best sure to attend next year and feast upon a mouth watering variety of International cuisine, sip wines, and enjoy the Caribbean night breezes while eating and dancing on Negril's famous beach. 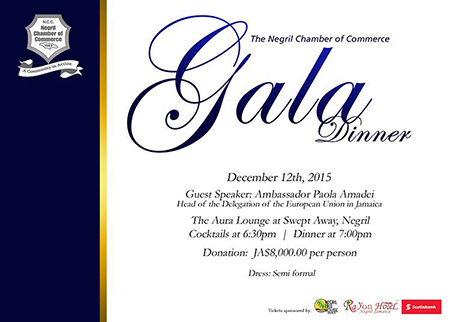 Negril Chamber of Commerce Gala Dinner 2015 at the Aura Lounge, Swept Away, Negril on December 12, 2015. The guest speaker was Ambassador Paola Amadei – Head of the Delegation of the European Union in Jamaica. The European Union has assisted Negril with ground-breaking projects in the past and the Ambassador is very outspoken on many issues.